We are the South East's Premier Track Bike Hire business, offering a Professional, fully supported Track day experience. We are also able to offer a trailer hire service, using our new Debon Cargo, single axle, covered trailer. In addition, we provide generator hire at competitive rates. If you own a track bike, but do to have the time to maintain it, store it or transport it to the circuits of your choice, we provide tailored solutions to suit all your requirements. WELCOME TO MFM TRACK BIKES ! 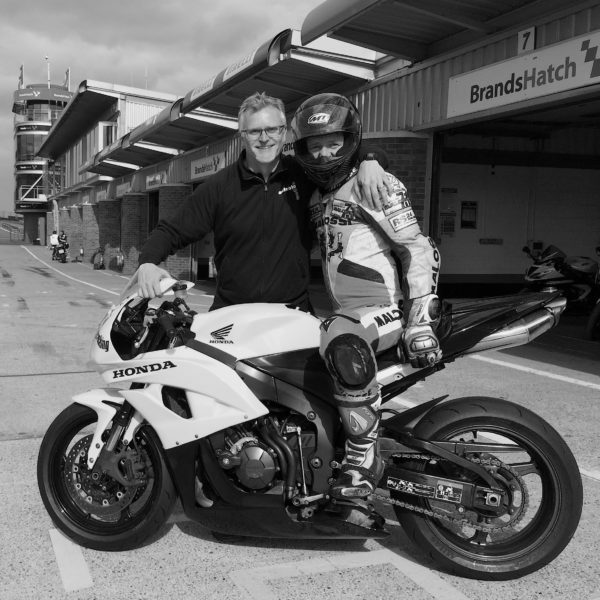 MFM Track Bikes is the South East's Premier UK track day motorcycle hire company, based in Surrey. For the past 10 years, the yellow and black Patracking hire bikes were a familiar sight at various race circuits around the UK. Patracking was setup by Patrick Tomkinson who was one of the original thinkers in providing track prepared hire bikes to the track day community. In early 2016 Patrick retired and our business acquired the assets and continued through a successful 2016 campaign, using the Patracking brand. For 2017, in consultation with our customers and partners, we decided a fresh approach was required and rebranded to MFM Track Bikes, offering updated and higher specification machines in a modern new colour scheme, to cater for all track requirements and budgets. For 2018, we will be offering additional track day services and competing in a busy season of the National Pirelli Superstock 600 Championship, supporting BSB. Further details of our hires and racing experiences may be found on this site and the usual social media outlets. We very much look forward to working with our new and existing customers this year and if you are around during our race weekends, please come and say hello, we would be delighted to see you. Have a great and safe year. Nick had a successful career in the Oil & Gas Industry for 35 years and has ridden motorcycles for most of his life. He is passionate about bikes, having owned many over the years and completed numerous track days, including in 2009, attending the Kevin Schwantz School in the USA. His focus is very much driven towards customer satisfaction, delivering an exciting and memorable track day experience. Nick spends his spare time tinkering with a collection of BMW and Laverda motorcycles, following MotoGP and photographing most forms of motorcycle racing. Examples of his work can be seen throughout this site. Conor is a talented racer, who we will be supporting throughout 2018 on a 2017 Yamaha R6. The roots behind MFM Track Bikes were established by Patracking Track Bike Hire setup and run by Patrick for over 10 years. 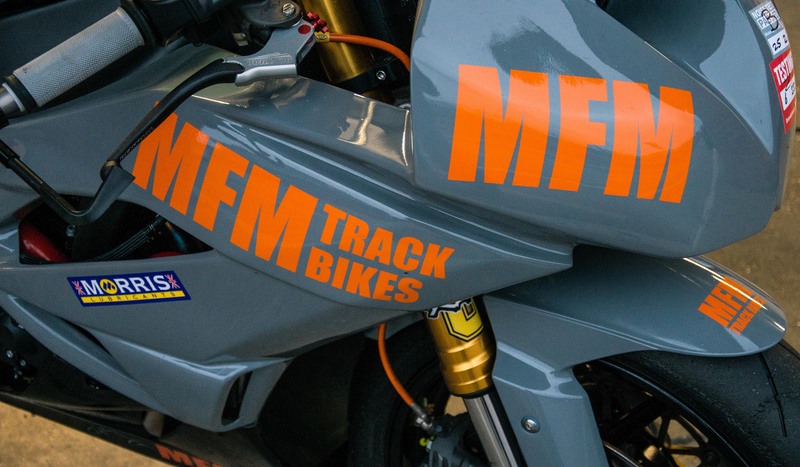 On retirement in 2016, MFM Track Bikes, purchased the Patracking assets and ran the business with that branding, until our renaming in 2017. Patrick was a member/mechanic of the FIM European 24hr Endurance Champions of 1971, via family racing team, Mead & Tomkinson. The team campaigned BSA, Laverda and Kawasaki engined specials, known for their innovative engineering ideas.